A Building Trades Apprenticeship is a path to the middle class. 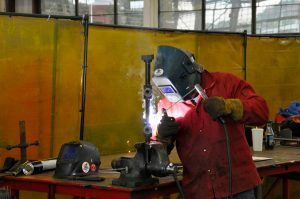 A Joint Apprenticeship and Training Committee (JATC) provides funding, support and standardized curriculum, including OSHA safety training, for each craft’s training program. 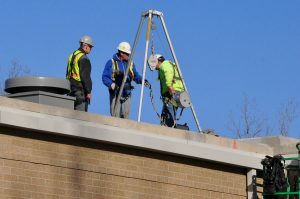 At state-of-the-art training facilities, ACT Ohio affiliate unions educate their apprentices with the skills and knowledge necessary to work safely, efficiently and produce high-quality craftsmanship. A JATC trained journeyman receives certified training and is kept up to date in the latest safety and technological developments throughout their career. Affiliated Construction Trades (ACT) Ohio is proud to represent Boilermakers, Bricklayers, Carpenters, Cement Masons and Plasterers, Electricians, Insulators, Iron Workers, Elevator Constructors, Painters, Laborers, Operating Engineers, Plumbers, Pipefitters, Sprinkler Fitters, Roofers, Sheet Metal Workers and Teamsters. ACT Ohio affiliates, through their JATCs, invest MILLIONS of dollars each year to ensure their members are the safest and most qualified construction workers in the industry – at no cost to taxpayers.